Tanzania in East Africa is one of the world's poorest countries. Its roughly 50 million citizens average $5 per day. Half the workforce is involved in agriculture, many as subsistence farmers, with maize the largest food crop. Sugar is the major cash crop, followed by cotton, cashew nuts and some tobacco, tea and coffee. Natural resources are very limited though some gold is mined for export. Off-shore gas is being developed and it is hoped that in time this will become a major resource. Over 100 different local languages are spoken but everybody also speaks Swahili and more educated people speak English as a third language. The capital is Dodoma but the main city is the port of Dar es Salaam (Haven of Peace). Healthcare in rural areas is pretty basic with few hospitals. The most common ailments are malaria and diarrhoea due to poor water supplies. HIV and measles are common. 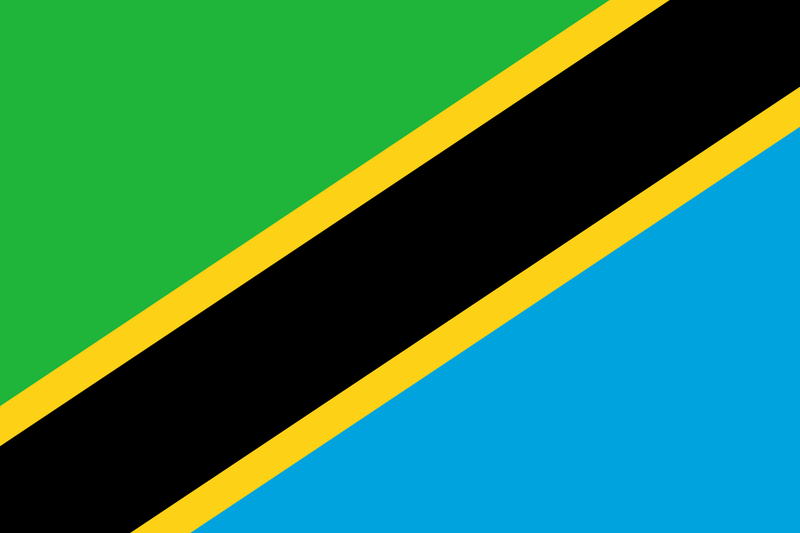 The name Tanzania came from the merging of the mainland Tanganyika and the semi-autonomous Islamic island of Zanzibar. The colours of the flag represent agriculture (green), the Indian ocean, rivers and lakes (blue), the people (black) and mineral wealth (gold).